With the top-seeded Highlanders and No. 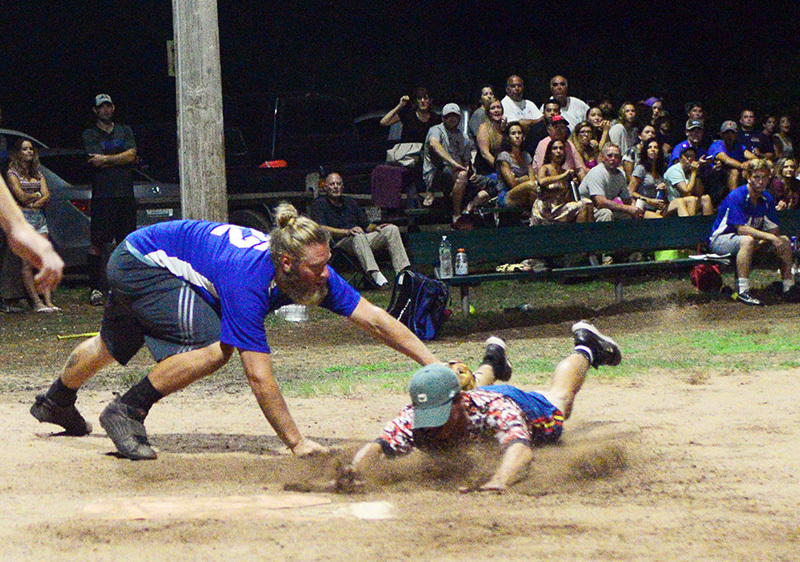 2 Blazers up 1-0 in their respective best-of-three series, heavy rain washed away most of the action in the scheduled second games of the men’s Island Softball League semifinals Tuesday night at Veterans Park in Vineyard Haven. The early game between the Whitecaps and Highlanders was suspended after four innings with the ’Caps in front, 10-8. After three innings, the Whitecaps led 8-1, thanks to four homers, two by Evan Sosa and one each by Luke Brewer and Connor Cinque. Before batting in the top of the fourth, the Highlanders huddled in front of their bench in an impromptu team meeting. The result was a seven-run rally in which the Highlanders batted around. 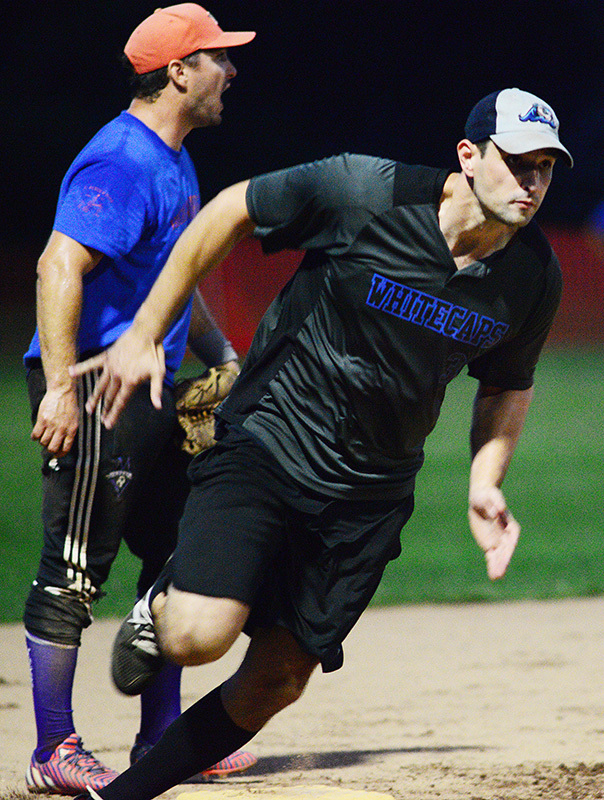 The key play was Jeremy Scheffer’s line drive to deep right field that allowed two runners to tag up and score. The Whitecaps regained the lead on Luke Bettencourt’s two-run double in the bottom of the fourth. Then the rains came, pushing the remainder of the contest and the Blazers-Hurricanes game to Wednesday night. If necessary, third games are scheduled for August 16 at Veterans Park, starting at 7 pm. On August 9, both series got off to exciting starts. In the first game of the night, the Highlanders outslugged the Whitecaps, 20-17. Twice, the Highlanders built up big leads, 8-2 after two innings and 16-8 after four, and twice the Whitecaps roared back to tie the game. In the bottom of the sixth, the Highlanders broke the tie for good. 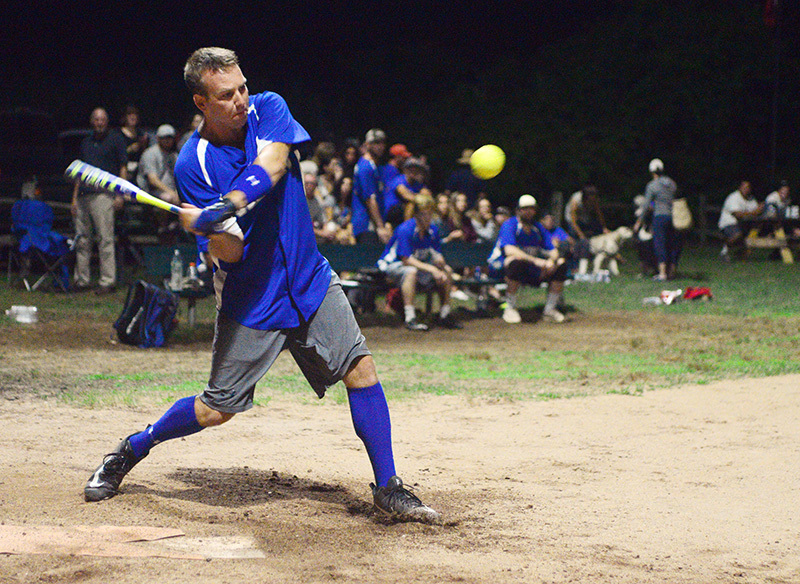 Nainoa Cooperrider hit a two-run single, and Todd Hitchings belted his second double of the game to score two more. 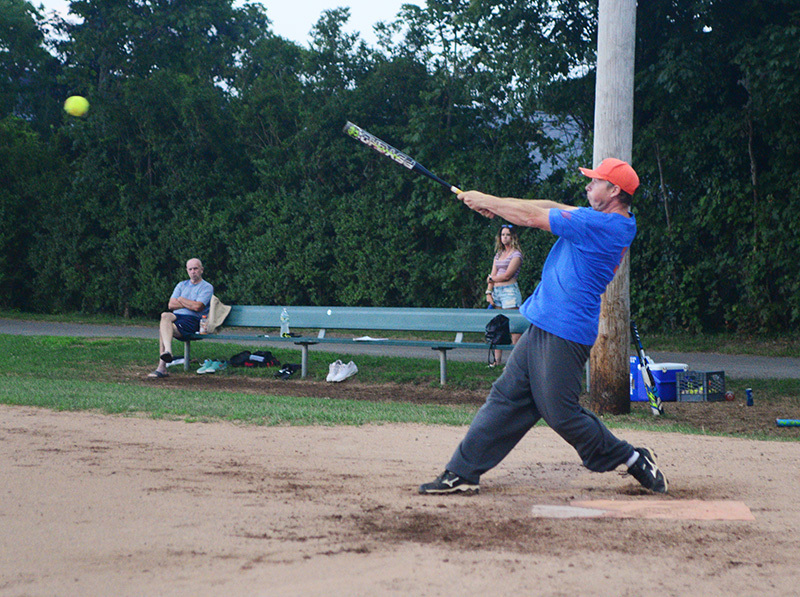 Jeremy Scheffer had a monster night for the Highlanders, with a homer, two doubles, three RBIs, and five runs scored. For the ’Caps, Evan Sosa crushed two home runs, Luke Bettencourt nearly hit for the cycle with a home run, triple, double, and a walk, Connor Cinque was 3 for 4 with a home run and two singles, and Cody Brewer went yard in the fourth inning. The nightcap between the Blazers and Hurricanes was an extra-inning classic. 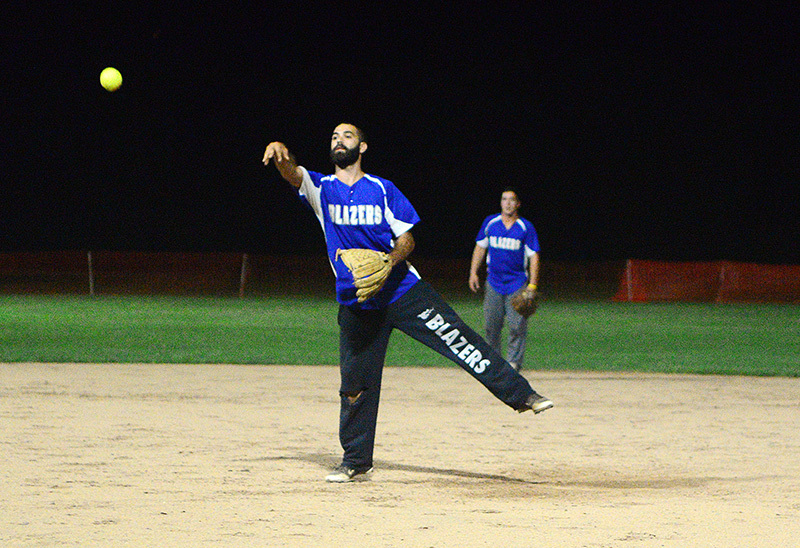 Billy Panek hit a game-winning walk-off single as the Blazers rallied from an 18-11 deficit with seven runs in the seventh inning and two more in the ninth to stun the four-time defending champs, 20-18. 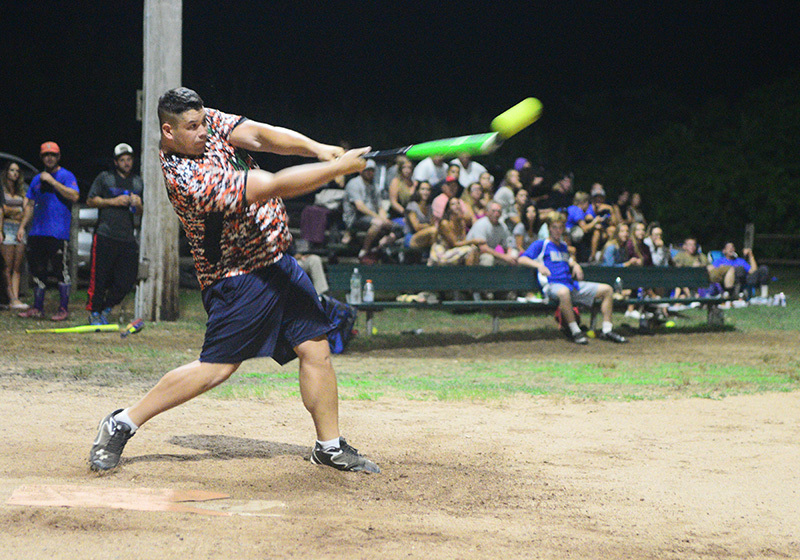 Joel Rebello led off the game with a home run, and Keith Crossland hit another as the ‘Canes reeled off seven runs in the second, storming to an early 9-2 lead. The Blazers trailed 13-4 through three innings and 14-7 after five and a half before their bats finally got going. 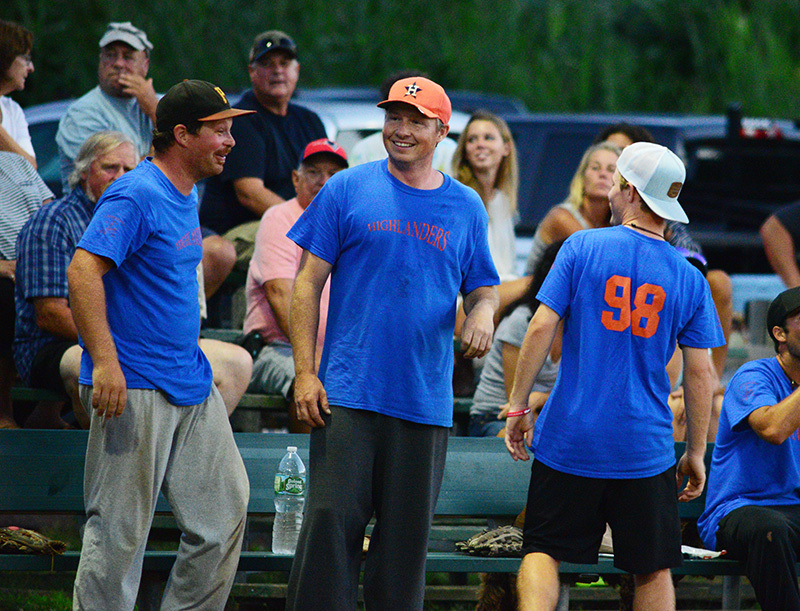 Mike Mussell homered, and Billy Panek tripled in a four-run sixth. Ronnie Miske blasted one out of the park, and pitcher Ben Madeiras hit a triple to key the game-tying rally in the seventh. 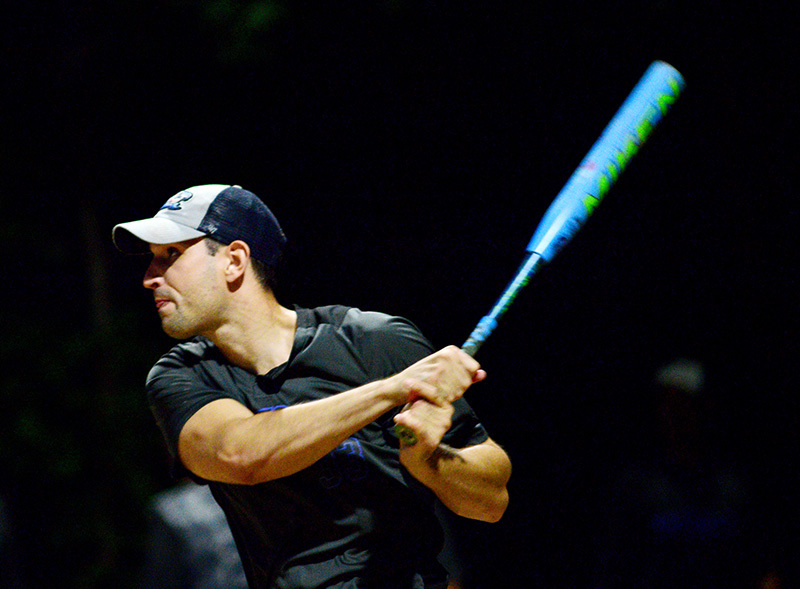 Keith Crossland finished with two homers, two singles, and four RBIs in five at-bats, Joel Rebello went 4 for 6 and knocked in three runs, while Pat Rolston, Jonas Lukowitz, and Billy Jackson had three hits apiece for the Hurricanes.